Only around one in five (20%) of personal contract hire (PCH) deals come with inclusive maintenance packages, creating duty of care concerns for fleets. So says fleet technology solutions provider Epyx as it warns the fleet industry to adopt new approaches to service and maintenance to deal with rising corporate take-up of PCH. According to Tim Meadows, commercial director, fleet leasing companies are selling increasing amounts of PCH in a corporate environment, either to individuals or as part of affinity schemes linked to employers. Latest BVRLA data shows PCH is very much on the rise and continues to erode the traditional fleet contract hire and leasing market. Figures from the association’s Quarterly Leasing Survey for Q2 2018 show the personal contract hire fleet increased by 12% compared to the same period of 2017. In contrast, business contract hire and finance leasing fell 6.3% year on year to around 917,000 units. It follows Quarterly Leasing Survey figures for Q1 2018 which showed PCH grew by 14% while fleet leasing fell 4% year on year. But whereas under traditional contract hire typically 80% of cars are leased with inclusive maintenance packages, only around 20% of PCH deals are sold with maintenance included – bringing possible impacts on a company’s duty of care to its drivers. 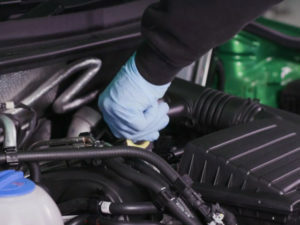 He also said the PCH sector’s lack of maintenance contracts creates problems for leasing firms, which don’t know whether a vehicle is being regularly serviced to manufacturer standards; inevitably affecting values when it comes to remarketing. Meadows said Epyx had been involved in the development of a number of new maintenance packages through its 1link Service Network platform that were designed to close this gap and he expected to see more emerge in the near future. “Some leasing companies have developed what you might call ‘just add fuel’ packages that include maintenance and are priced to appeal to PCH customers. These should help to drive penetration. “Also, there are likely to be further developments in service plan-style products, with solutions aimed directly at the PCH sector, and we have also been involved with discussions in this area.